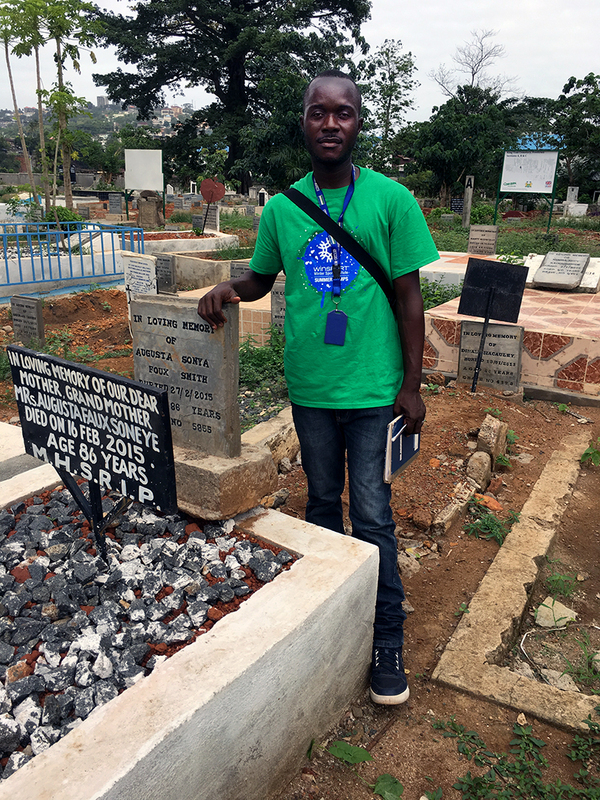 In 2016, the Ebola cemetery authorities found that their funds could not meet the costs of long-term maintenance. 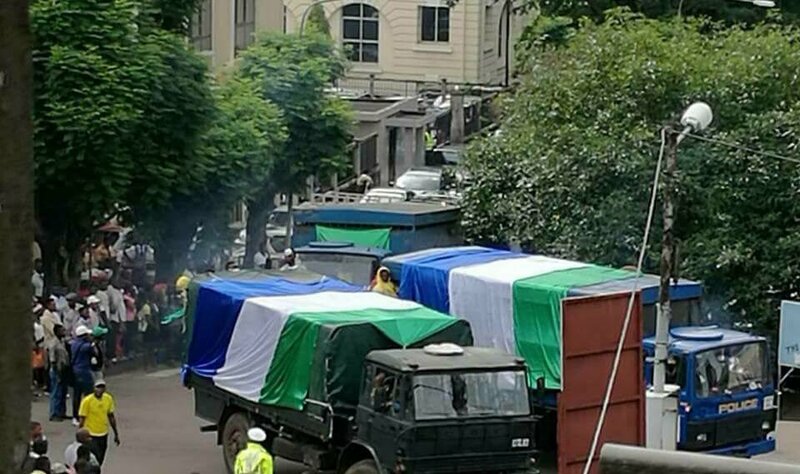 So they wrote a letter to President Koroma, through the Ministry of Local Government and Rural Development, soliciting his help in raising six billion Leones for the construction of a perimeter fence around the cemetery at Waterloo. Deputy Chief Administrator of Western Area Rural District Council, Peter Abdul Koroma told Concord Times that the council alone could not afford to fund the construction of a fence to protect it from intruders. 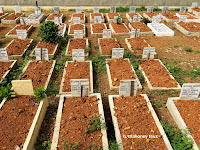 "It is a monumental cemetery that is very important to us as a country. 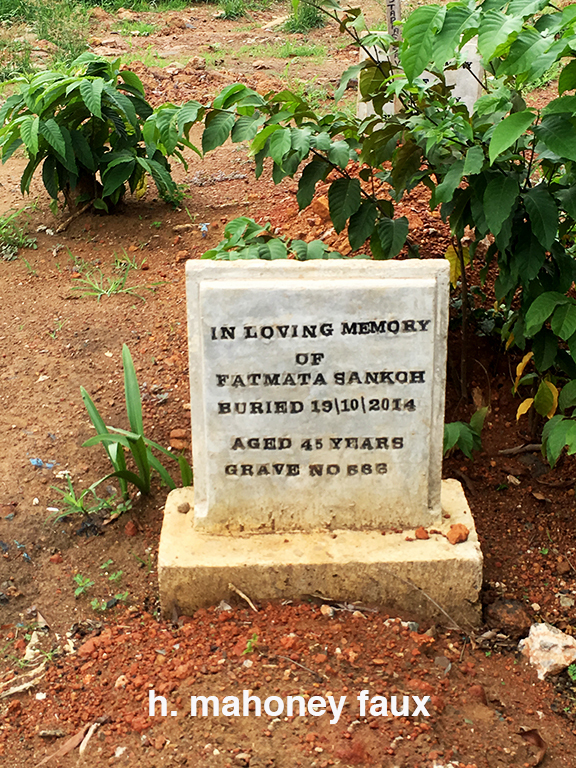 Foreign researchers, as well as those in Sierra Leone, would be interested to know something about this cemetery. That is why it should be protected and preserved," he told the newspaper. 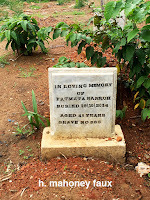 But for other cemeteries, like Kingtom in the west of Freetown, it is a different story. “Here are the pictures I took on June 21, 2016,” said Hannah Mahoney Faux, a US based retiree who takes photographs around the world for a hobby. “The fellow in green is the supervisor who took me on a guided tour of the burial site. Turns out he even has the visitor log book in hand, in the image. 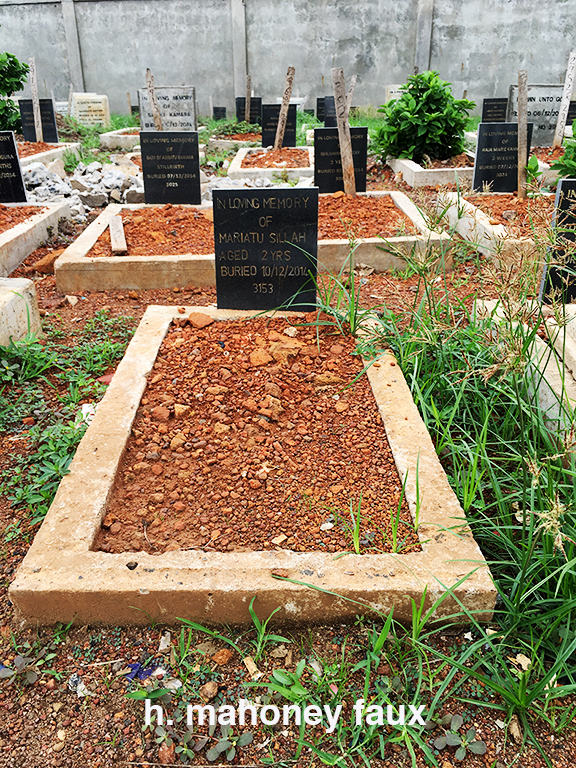 Here is an excerpt from the article "Crooks Dig Up Sierra Leone's Ebola Cemetery"
Last year, Freetown City Council said hundreds of graves were targeted in nearly all of the capital city’s seven cemeteries. 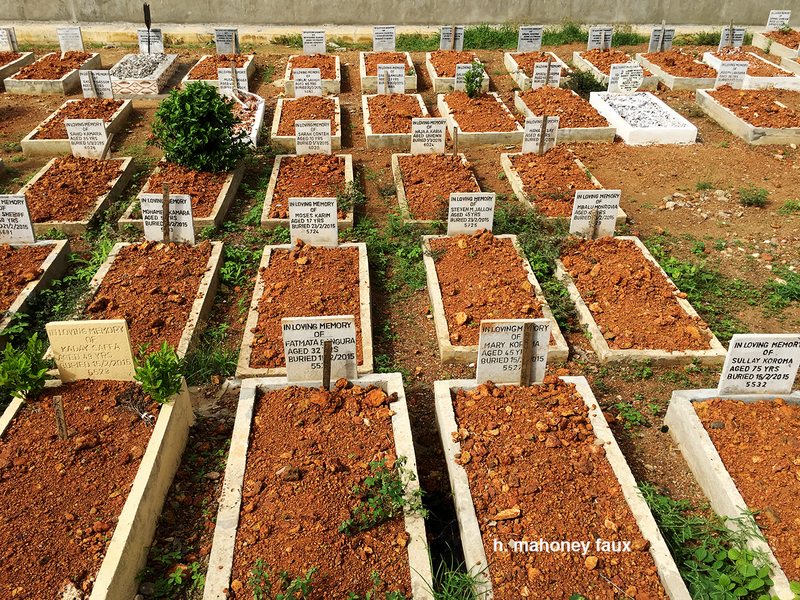 Between January and February 2016, around 250 graves in three cemeteries were plundered. 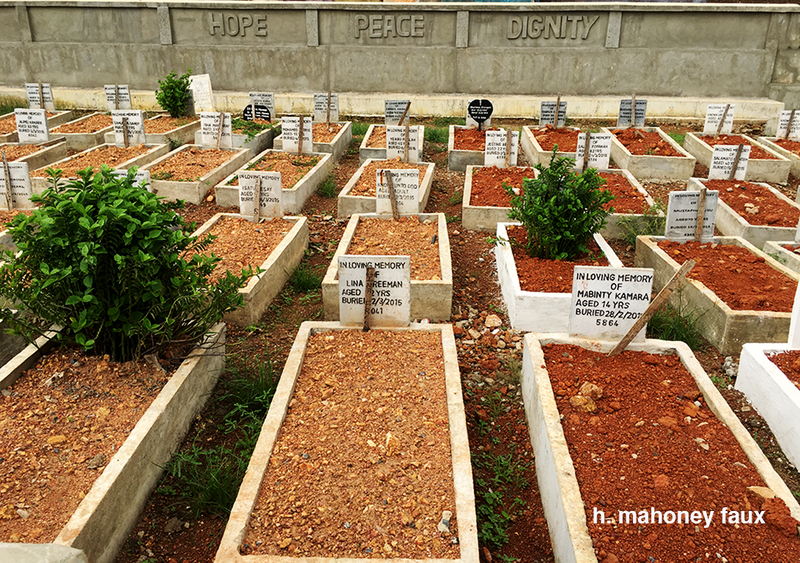 One of them was the Kingtom cemetery where 60 percent of the over 6,000 graves are those of victims of Ebola. 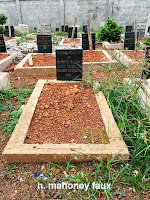 Robbers used pickaxes and sledgehammers to open concrete tombs, stealing jewelry and clothes from the dead.